Everyone knows about Beyoncé and Jay Z…they are THE power couple in the entertainment world. A lot of people however don’t know that before Jay Z there was a young man named Lyndall Locke who was Beyoncé’s first love and dated the pop icon for 10 years! In an exclusive interview with Daily Mail, Lyndall revealed quite a number of things that have got people talking in the past few days. She has always been very focused: While Lyndall describes her as a ‘12-year-old wannabe…who has always been fixated on the pursuit of fame’ we see a young woman who knew what she wanted right from the start and built her life accordingly. 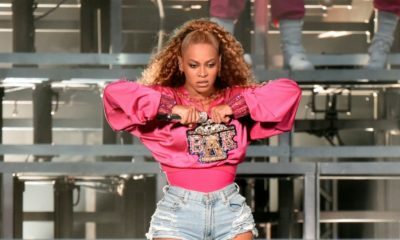 Beyoncé works extra hard to maintain her ‘picture-perfect’ image: In a world where it is super easy to get your image tainted with one scandal or the other, we learned that Beyoncé has ALWAYS worked extra-hard to maintain a picture-perfect image. Lyndall shares a story of an incident where Beyoncé fled the scene of a minor car accident because she feared it would be ‘bad’ for her image… even though she was years away from becoming famous. She never experimented with marijuana and alcohol growing up: You just have to love a woman who has her eyes on the prize and doesn’t let anything distract her on her journey. Beyoncé’s ex-boyfriend Lyndall Locke revealed that she never experimented with marijuana and alcohol growing up because ‘that would hurt her voice’. Beyoncé’s strong persona was inspired by her mother: According to Lyndall, Beyoncé’s strong persona was inspired by her mother. He said ‘Tina was a glamorous lady who ran a house, worked in her hair salon and worked promoting Beyoncé as well as being a fantastic mother.’ Even when Tina’s husband cheated ‘she stayed strong and kept the family together’. Read up the full interview here. This dude must be a fcuk-boy, na who ask you to deh yarn ‘to-ri’ weh dem no ask you? If she wasn’t successful, would he? Why did he get 5 minutes of anything?!? These stories are 15-20 years old. Boy bye! Learn to build the life you want early. You won’t miss anything, i promise. Parties, toasters,fashion or whatever will always be there. Missing all that fun is not easy, granted, but it’s soooo worth it, when u finally get the life u ‘ve always aspired to have. This Lyndell guy was busy having fun, fooling around and taking her for granted while his then girlfriend was working HARD since the age of seven. Now , several years later, where is he?what is he doing? still stuck in the past and now running his mouth about somebody’s wife. If he continues like that, he will end nowhere with no one, cos no sane woman will want to be under Bey’s overwhelming shadow. Excel in what u want to do. Trust God, keep on pressing and working diligently. Be patient and you will be blessed in the appropriate time. 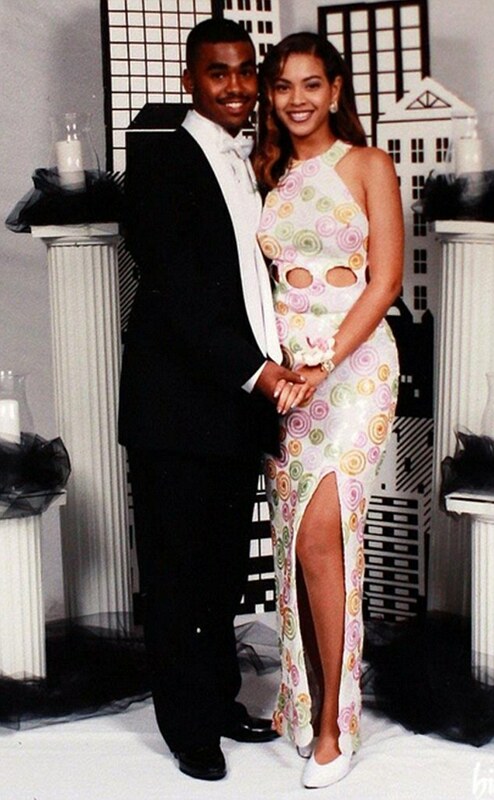 Bey started at around seven years old. Success came when she was around 17 or 18. Even if u want to sell pure water, be the best. EXCELLENCE is the key. EXCELLENCE will make u stand in the presence of kings. Your case is really touching but I will advise you to keep moving and be positive minded in everything you do, things will fall in place for you and you will laugh at end. God will answer you requests soon in Jesus Amen. Also, when you are going through a situation like most time is when great things is coming to your ways but have faith and never relent, it just a face of life after this is laughter… and God will make you laugh. Thank you very much Mystique and Temitope for your very supportive words and everybody else please put me in your prayers, may God bless you all. @Tired, because there are no guarantees in life and life has promised us nothing by us being born. Humans are the ones who have said if you work hard and do the right thing then you WILL reap a harvest, the truth is you MAY reap a harvest if you do everything right, but life has made no such promises to us, and we just have to play the hand we are dealt. Take pride in your ability to commit to a task and see it to completion, that signifies a strong character, loyalty and resilience. Know that you know a lot about how the scientific world and how it work, and that you can converse with just about anyone on any level, grand! One thing I have learned is that most wealthy people are not wealthy by working for others, they are wealthy because they are the owners, if you want to be wealthy and have the good life then you will have to set your mind into one of ownership, this doesn’t mean you have to build a company from scratch, perfectly fine if you do though, could be simply writing a bestseller book or creating a popular blog or Your Tube channel. But you must take your mind out of one of the world owes you something for doing this and being this, and set your mind into one of you will create your own reality because the world is in you and you are not in the world, so you can create it any way you want, you are the one who will shape it, it is putty waiting for you to shape it into any form you want. Stop looking out, and start looking into the universe within you and you will know what exactly you need to do. Too much religion also breeds a poverty mindset so if you are overly religious, you may have a belief system that ascribe some sort of spiritual superiority to being poor or living humbly, I don’t know you personally so I am not saying this for a fact, just that you should examine yourself to see if you fall into that category, this mindset will limit your money unless you change it. 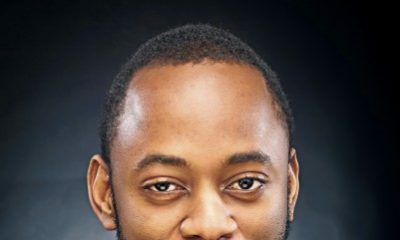 A tired Nigerian Lady…..don’t ever ever regret doing what is right or good because you never know when karma will deal you….be grateful and proud of your values and achievements because you never know what could’ve resulted if you had chosen otherwise….you might’ve been a real loser……. The grass is always greener on the other side when you focus on what you don’t have instead of what you have and it’s the recipe for unhappiness which isn’t worth it. Keep your head and prayers up and ignore the whispers of the devil. You’re a gem….and your dreams will come true….Wish you the very best. Your sacrifice will never go unrewarded, expect an outstanding blessing from God, and don’t ever think your sacrifices were a waste, no, they are not, you will reap it in a mega way in due time, don’t give up now! So my dear, don’t be too religious. Religion makes you tired, oppresses people, doesn’t offer liberation, causes strife, discrimination..etc.. Think about it, there are men you probably rejected because you were not of the same church.. I am sure your pastor told you that… Funny isn’t it. When God created MAN, he made them Male and Female… not religion… So my dear, it’s never too late… You can start a new chapter in your life by looking at the world differently…. Go back to Genesis creation and then compare with Christ’s coming. I came to preach the good news of the Kingdom…If religion doesn’t make you “A tired Nigerian Lady” it will make you a Terrorist. What you did was you stopped living the life you were born to live, and started living a life designed by your church or pastors, becoming religious..
What exactly is this guy after? Must be the coins. I see no point to this book of his. I see why she can never be a failure. You can’t be focus in life and fail. while some were busy taking coc and weed, she was in the studio singing her life out. I love that statement “I cant live a normal life” She worked her way to the top. Heheheheheheheh………….bobo, it is well with you. But know that you messed up oo and your children may not forgive you. All of you crucifying lyndall need to ask yourselves these questions. Why has he not spoken about her all these years? Why now? Theres nothing like he is seeking 5 mins of fame because he would have said this all these years but chose now, because of a reason BN did not include in the story. The guy has his own life. He is a caterer, is married with a child. He only gave this beyonce interview because of the unauthorized biography (becoming beyonce) written about her. He wanted to clear the air on what was written about them in the book as well as give the truthful side of the story…as per letting people hear from the horse’s mouth rather than concluding on a them say them say book. Asides all of this things written in this article, he actually had so many good things to say about beyonce. Can the beehive just relax??? Gosh! 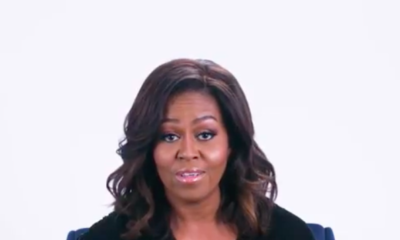 No one is spiting your queen. I tire for una o! In addition, some people may not know what they want to become from a very young age but only discover that, as they grow older. There are so many people who experimented with drugs, did all the bad things as they were growing up, but turned their lives around as they got older. Beyonce was just one of the few lucky ones who knew what she wanted, chased it and was supported by her parents. There are still some people who know what they want but no parents to support them or have parents who enforced their dreams on the kids because the financial back up was from the parents. Its good to think outside or around the box at times and give room for what ifs. Beyonce was just lucky. Shikena! Hold up!!! are those GIFs?????? ?? ?So Bellanaija programmers, if y’all could spread the GIF goodness down to the comment section, I’d appreciate. Danke! I have never left a comment here but @A tired Nigerian lady you changed that with your comment. I don’t know you but your comment resonates in so many ways. Please whatever you do, DO NOT CHANGE! You are not being punished, your reward just isn’t ready yet. Keep doing you, stay focused, and open yourself to the world and it will surprise you. Whatever you feel you are lacking, partner/husband, career, fufilment, financial gains…they will come. Trust in God’s timing for your life, and trust in your struggle and story. Also, please refrain from comparing yoruself to others, i’ve discovered that comparison is a stealer of joy. Find joy in your now, no matter how tiny and let that be your anchor. 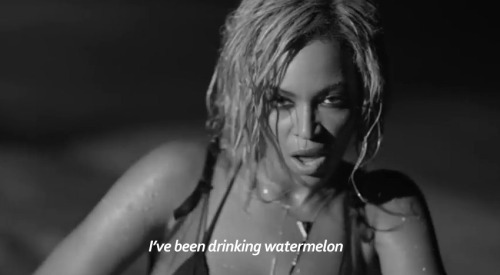 If all else fails, remember that Beyonce was not built in a day! Bisisexy i agree with you.Africa the axis of EVIL. okaaay, i get it. you guys are Bey fans. the guy gave a normal interview and y’all rebranded and repackaged it into this fake-shiny thing. na wa o.